Ken Alexander – I Love It Spicy! Deck the Halls with Boughs of Hot Sauce…Fa La La La La La La La La! It’s that time of year where thoughts go to snowmen, Santa, Dreidels, Christmas Trees, Holiday Parties, and all things fa la la la la! So of course you’re gonna be asked to bring something to the party. What better time could there be to get creative with your favorite hot sauce? Since I’m not the creative chef type who makes amazing sauces and spicy fare, I find ways to use other people’s creations and always bring something spicy and fun to Christmas parties. So I thought it was appropriate and timely to share a couple of my favorite party time recipes! “I collect Hot Sauce!” I hear this all the time and see evidence of different versions and illustrations of hot sauce collections on Facebook, Pinterest, etc. 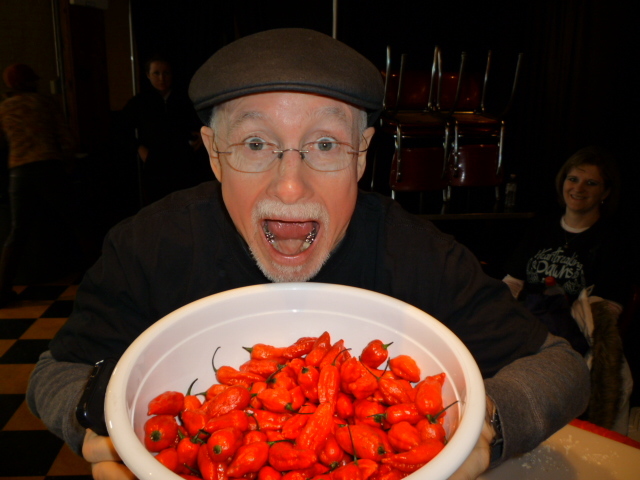 To personalize the observation, I love to tell people that my hobby…no…my passion, is collecting and blogging about hot sauce, spicy food, and the community surrounding the Chilehead industry. So what is a collection, really? To some, a collection isn’t a collection unless they have shelves full of wax-covered bottles, signed and unopened. They proudly display their spicy treasures in display cases, shelves, etc. and wouldn’t dare dream of opening any one of them for fear of devaluing their worth. 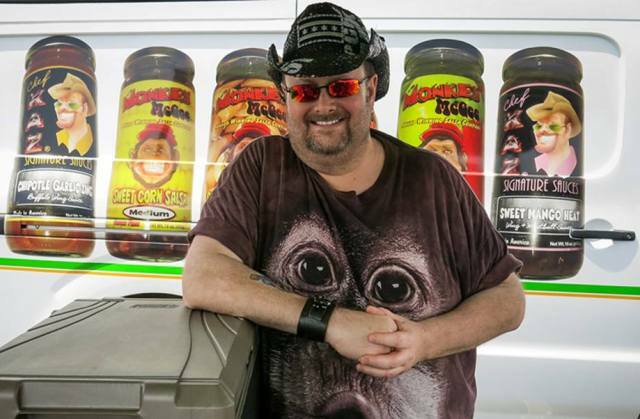 They look up to and envy the likes of my good friend and buddy, Vic Clinco, who boasts the largest privately owned collection of hot sauce in the world, pushing towards 8,000 individual, discrete products. What a testimony to spicy and cool! A collection so large, so unique, so over-the-top that it’s been featured on national television and is world renowned. If you haven’t seen pictures, just search Google Images for it and see what pops up. Well, it’s the time of year where school bells are ringing and kids are singing! Okay, more moaning and groaning, but nonetheless, it’s here! You have to shelve Alice Cooper “School’s Out for Summer” and dust off “Schoolhouse Rock”! And this month I wanted to talk about fiery food/hot sauce festivals, so get out your pencils, class, we’re going to school! And it will rock! (Get it? Rock? School? School of Rock!? Yea Yea Yea….I know – okay, never mind…) So what follows are some observations and opinions I’ve drawn from my experience with hot sauce and fiery food shows, and we’ll end with what in the heck does this have to do with school, or more specifically, college! When Buddah asked me to be a contributing columnist for his new vision, “Chilehead Monthly”, I almost said no since I already struggle to make time to write for my own blog. But Buddah gave me my start in the community, and has become a close, honored friend, so how could I say no? So, in true Buddah whip cracking fashion, I got my first copy deadline (tonight! LOL) and he asked me what my theme would be each month. “Theme? I need a theme?” I asked. So I told him that my theme would be original, op ed type random musings from my Chilehead brain. And he was good with that (thanks, Buddah), but he told me that I should include an intro of sorts, so this month will be just that….my intro. The “About” section on my blog, It’s a Fiery World (www.fieryworld.com) does a good job of providing a brief bio, so I’ll give that to Buddah to use as he sees fit. But the real intro is my reflection on what makes a true Chilehead. Of course, to the casual observer, the obvious answer is plain as day. A Chilehead is someone who loves hot and spicy cuisine, hot sauce, hot peppers, and fiery flavors of all kinds. But that’s just the surface. I’ve discovered that a Chilehead is much, much more. Not only are they someone with a strong tolerance for pain and an asbestos stomach. And they are not just a thrill seeker who wants the endorphin rush that follows the spicy flame that makes their nostrils flare, their blood pressure rise, and their pores open into rivers of delightful sweat. Don’t misunderstand…they are indeed all those things, but that’s still not what defines them as a true Chilehead. I would like to thank all the companies that helped us with raising money for the Snowdrop Foundation which funds research and assists families that are affected by Pediatric Cancer. 100% of the $10 entry fee went to Snowdrop. If you would like to add to the totals please click on their name above, and thank you in advance for your kind heart. I also would like to thank our judging team of Ken Alexander, Ken’s son Jonathan, James Wreck of iBurn, Dana Romero from the LA Hot Sauce Expo and last, but surely not least, representing Snowdrop, the one and only Grape Nut aka Grapie. Hey ILoveItSpicy, here is the third review for Red Snapper Sauce Co. Hope everyone enjoys it. This is 2 of 3 reviews for Red Snapper Savoureaux. One of our Reviewers had issues at work and was unable to do the review. If he is able to get everything resolved we will post his separately. Until then here is the review. Since it was a huge hit the last 2 years at the Houston Hot Sauce Festival, (over 70 jars of salsas submitted last year), we are doing this contest once again. This time we are joined by Ken Alexander from www.FieryWorld.com who has graciously agreed to take my place at the event since I can not be there. Since he did a bang-up job at the Louisiana Hot Sauce Expo, I know he will carry that professional approach to this contest as well. Thanks Ken! That is not all folks, James Beck from iBurn has agreed to add to the prize for the winners. All 3 first place winning salsas in their respective categories will be bought to sell at their brick and mortar and online stores. That is a huge bonus beyond just the trophies we provide. James will also be a judge, so if he tastes something he loves, he just might be looking to add those salsas as well. So you people who can’t make the festival, can still be able to experience a little of the best salsas in the land through iBurn! Thanks so much James for being a valuable partner with us this year. The most important factor in this salsa contest is to raise money for the Snowdrop Foundation which helps with Children’s Cancer research and support. Straight from the Louisiana Hot Sauce Expo comes the 1st annual World Hot Sauce Awards with one of the coolest trophies ever created for this industry. Check her out.. The story of Red Snapper Sauce and the history of the McVea family are essentially one and the same. Some of our family’s happiest memories have been made while gathered around tables stocked with our Louisiana-style hot sauce. The most popular events have always been our gumbo parties. What’s not to love about friends and neighbors stopping by to help themselves from heaping pots to an all-you-can-eat homemade gumbo feast? In between bites and laughter, the discussion always seems to turn to the legend of the sauce. 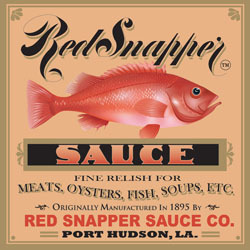 Since we can’t invite each of you to our table for a meal and some conversation, we’re sharing the history of Red Snapper Sauce with you here, so you can feel a bit of the family pride that goes into each and every bottle. 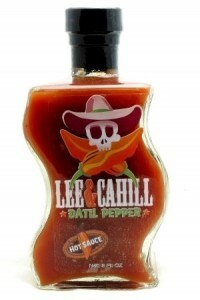 Lee & Cahill Datil Pepper Hot Sauce. This Datil sauce is delicious on everything and is sure to lasso your taste buds. Our secret family recipe starts with a little love, a pinch of our home grown Datil peppers and lots of spice. This all natural hot sauce is HEAT WITH FLAVOR! Chilepepper Magazine’s Best New Product Award Chile Pepper Extravaganza 2013. 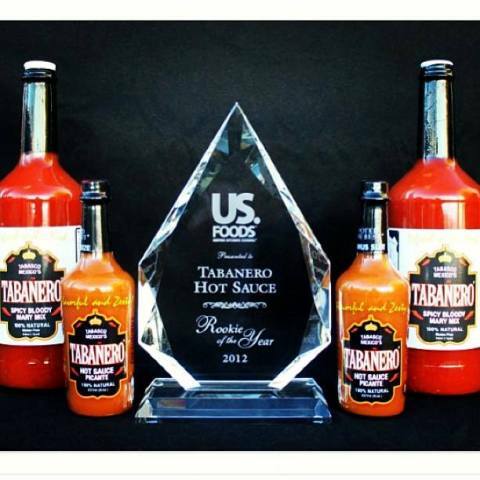 Let us get this out of the way first and foremost, Tabanero has no connection in anyway with the infamous Tabasco hot sauce or the McIlhenny family whom created it. Tabanero was named after the state of Tabasco, Mexico from which it is made and the habanero pepper. Combining the two words: Tabasco + Habanero = Tabanero. Ta Da! We assembled a team for this review and they are HairyZona’s own and cartoonist Derrick Wood, the Virginia couple Alex and Lauren, the Schobergs, and from the swamps of Louisiana and www.FieryWorld.com, the one and only Ken Alexander. 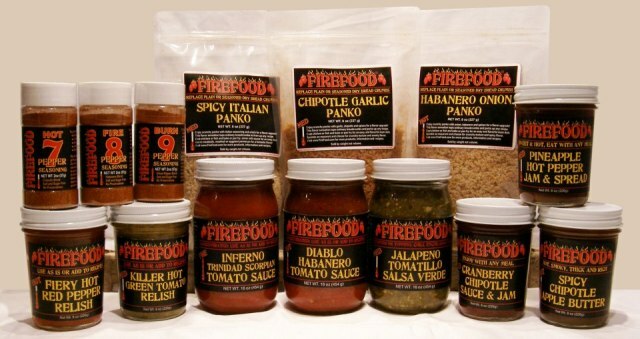 Before we get to their reviews, let us educate you a little background for Tabanero Hot Sauce. I owe a lot of my sanity on this trip to the Sauce Goddess, Jennifer Reynolds. I was still having personal issues that I could not drop, and she told me to focus on where I was and have a good time with the people around you. Jennifer and I shared hotel rooms in Houston, TX as well as New Iberia and Lafayette, LA. We did the tourism thing in Louisiana and I had a great time with her company. Thanks very much Jen, you were an awesome travel mate. Our Friday schedule immediately became a bit sketchy because of the weather. It was raining and it was going to get worse and worse as a big storm was heading our way. Friday was setup day at the Stafford Centre for the Houston Hot Sauce Festival, so it was a matter of choosing the best time to dance between the raindrops. Both Jen and I decided to visit the new iBurn brick and mortar hot sauce store before helping her setup her booth. The look of the store was amazing. So clean and professional looking. The murals were so very artistic. See the pic at the top for the outside mural and part of the inside mural is below. I really liked the way the bottles were child-protected by these small metal bar guards. While that was good against bottles tipping, the appearance was extremely sharp and appealing. Proprietors, as well as newlyweds, James and Amy Beck/Wreck had started selling products last year online and having such a widely successful show close by, they are going to support the festival by bringing in some of the vendors that appear. The idea is to tell the attendees at the show if you like the vendor’s products you will be able to reload at iBurn. Many of the vendors at the show gave away iBurn postcards to push home that point. Good marketing.